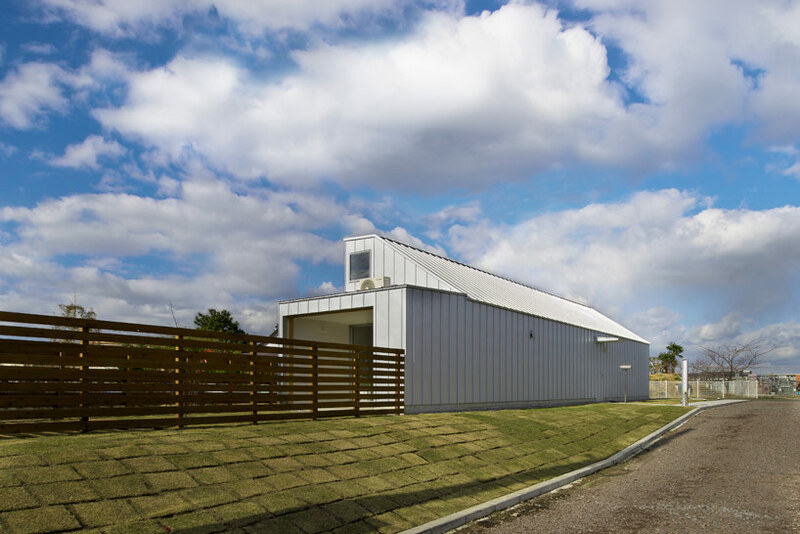 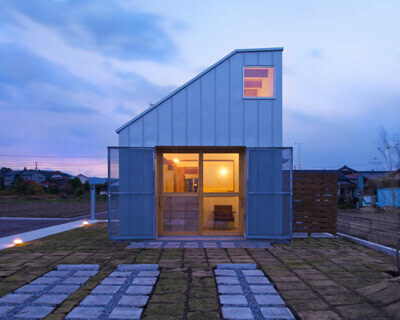 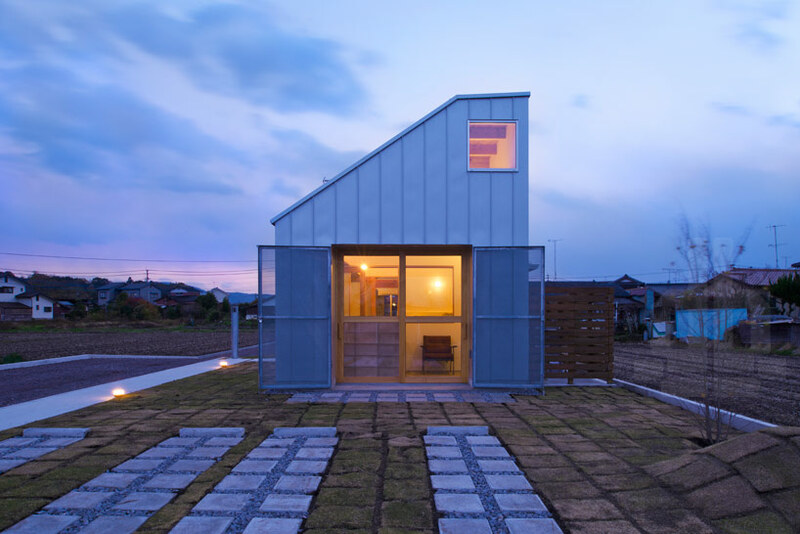 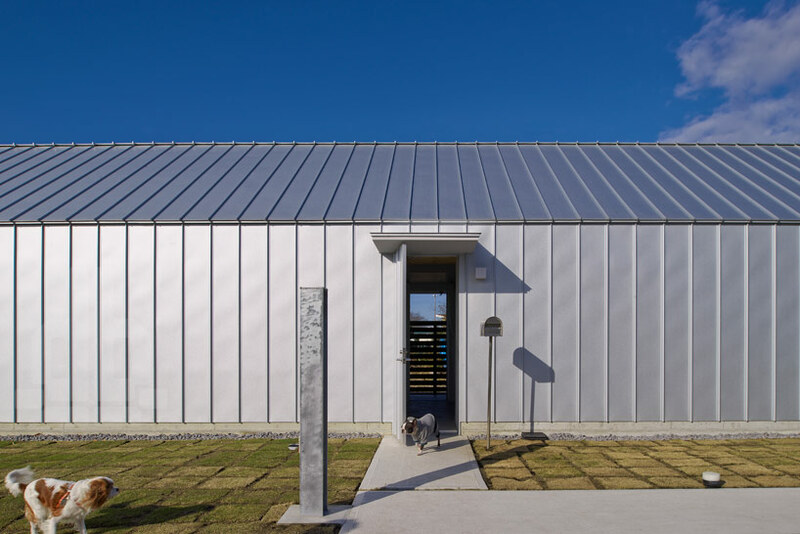 complete with dog grooming salon, this multipurpose house by japanese firm naoko horibe architect’s office, cleverly integrates both business and living functions into the one building. 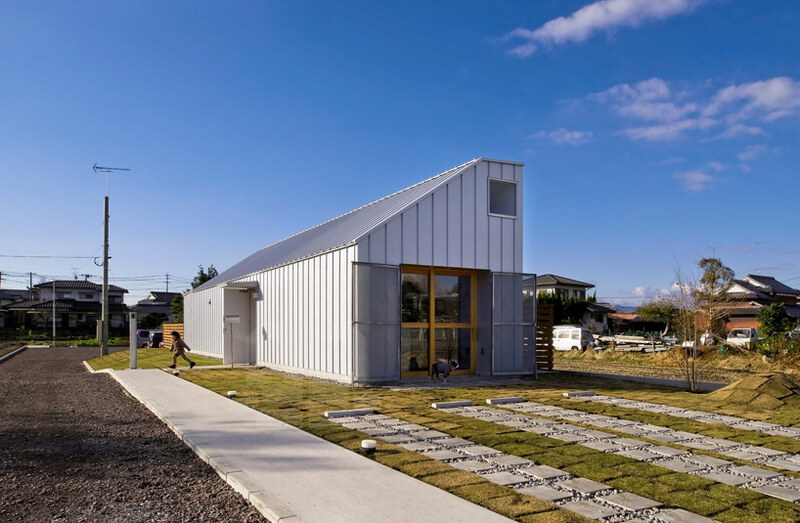 located in usa-shi, oita in japan, the 66.25m2 building sits on a narrow plot of land surrounded by rice fields. 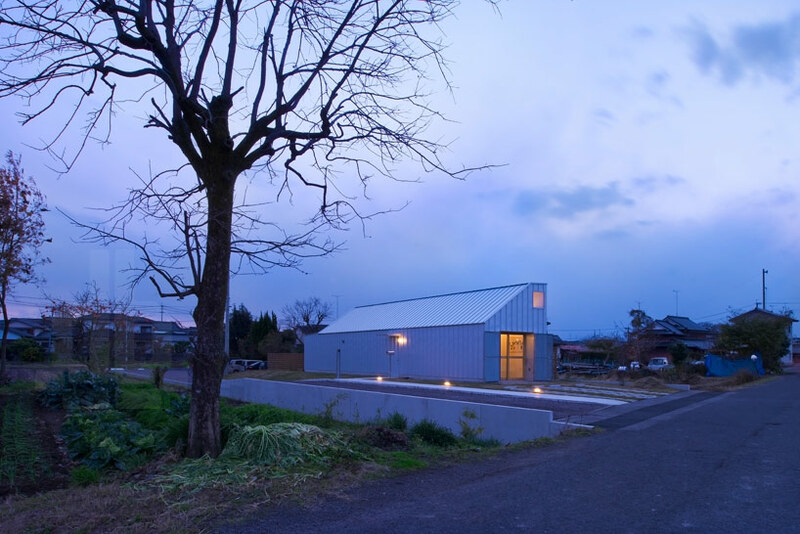 the house’s business activity is adjacent to the main road and accessed directly from the street, at the other end are the family’s living quarters. 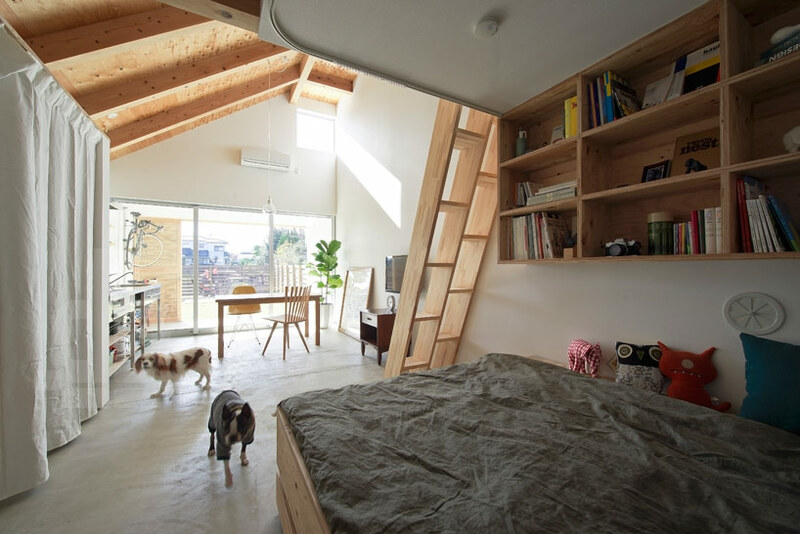 separating the two functions – family home and dog salon – is the bathroom and kitchen, conveniently located in the middle of the volume, so they can easily be used from both ends. 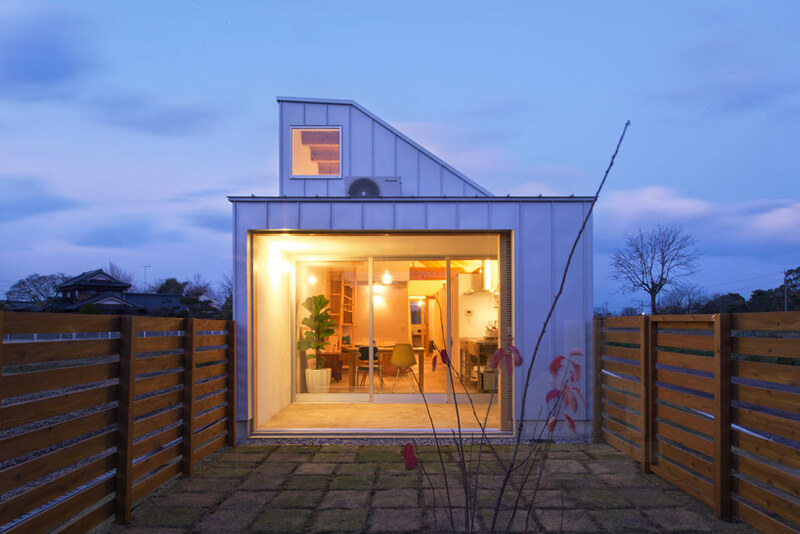 constructed from wood with a mono pitch roof, the open plan interior has extended views out to the garden, making the building feel larger than it really is. 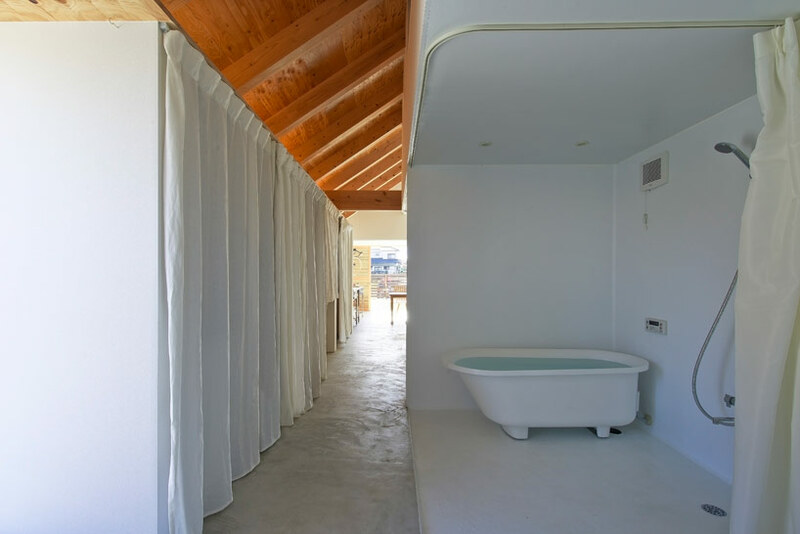 curtains are used to draw privacy between the different living spaces and provide distinction between the working and family areas. 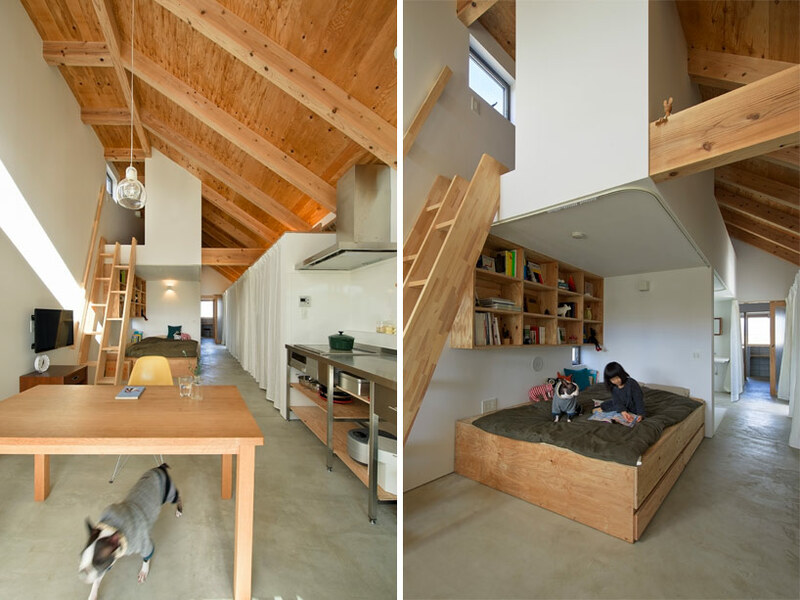 a small mezzanine level faces the exterior courtyard, with a daybed for the the occupants to relax on.